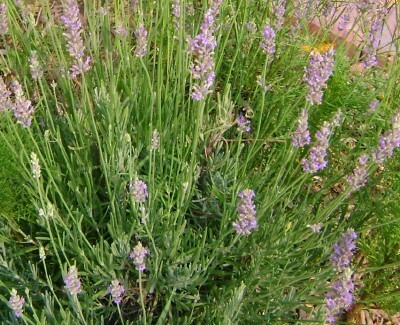 Provence Lavender - Very fragrant lavender variety. Long slender silver-green leaves bearing long stems of pale purple flower bracts. Wonderful for use in boquets, potpourri, sachets, etc. Nice rounded bush habit. An old fashioned favorite. traditionally used in soaps and perfumes. Requires a well drained soil and high and dry location. Perennial zones 5-9. Live starter plant in 3 inch pot.